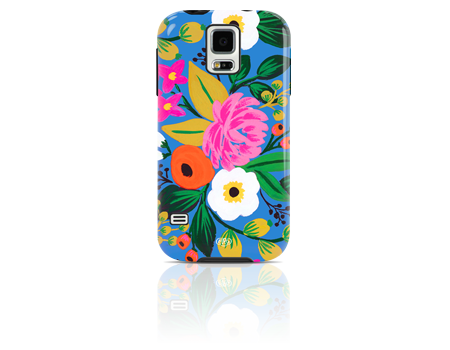 Protect your Galaxy S 5 while adding some tropical flare with the Lenntek Sonix Cyan Floral Case. The raised rubber edges give the screen extra protection. Sonix Inlay for the Galaxy S 5 - a sleek yet protective case option. This case has a shock absorbent rubber core insert and a hard outer shell. This option provides absolute protection without too much bulk.